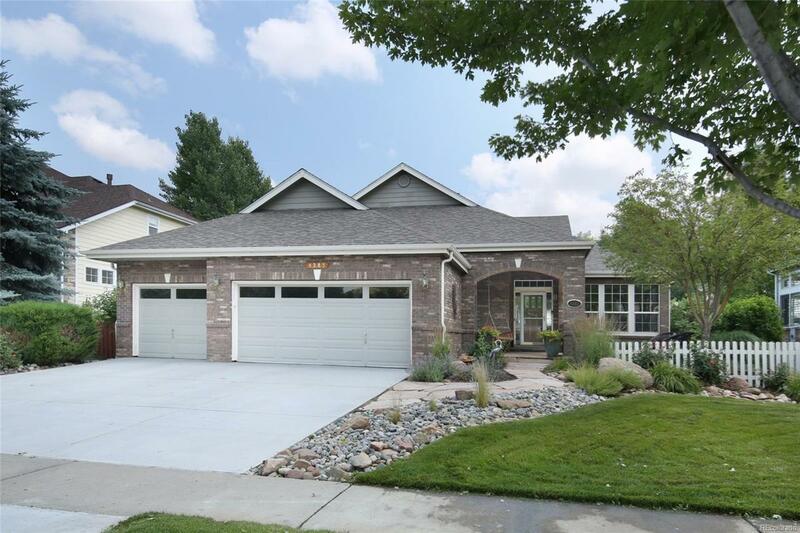 Impressive ranch w/ garden level living on 13th tee of Mariana Butte Golf Course has numerous upgrades. Rich wood floors, fresh paint, stone accents on fireplaces, new cherry stained kitchen cabinets, stainless appliances, & marble counters. Two bedrooms & office with updated guest bath on the main. Two additional bedrooms & bath in lower level along w/ family, game rooms & wet bar. Two outdoor living spaces, one overlooking pond & golf course, other being private courtyard in front. Open floor plan, new roof, radon mitigated, pre-inspected, One Year Home Warranty. Must see to appreciate!